Hotel Eve is located in the busy street of Mall Road amidst the hilly region of Shimla. The rooms are spacious and well-furnished. The interior decor of the rooms are warm and welcoming. The cushioned headrest and plush chair adds to the comfort of the guests. 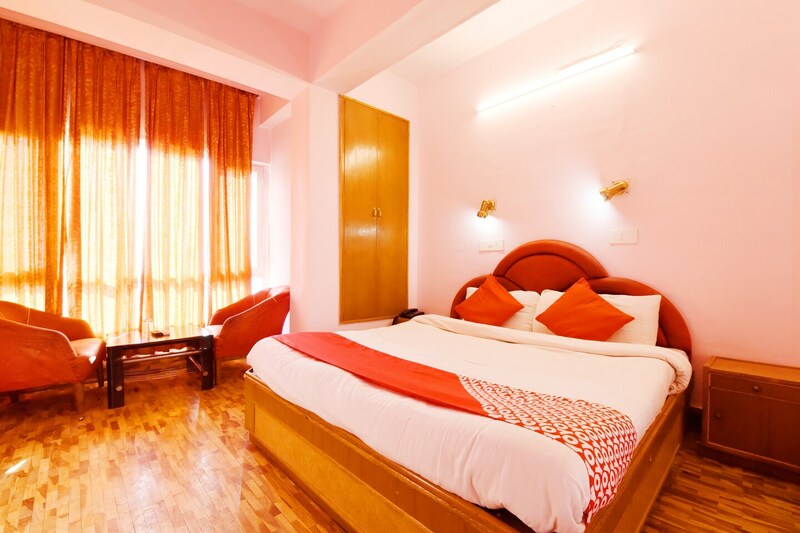 The rooms are provided with basic amenities for the need of the visitors. Geyser is provided for the cold weather in Shimla. Tourist attractions near to this property are Christ Church Shimla,The Mall and Jakhoo Temple.